Alan Passmore and a mate were on a surfing trip around Australia in 1990 and as you do when you’re having fun, time got away from them. 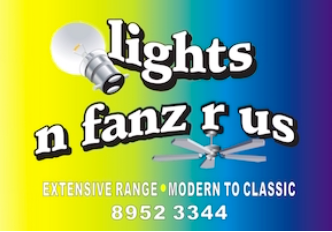 They had to take a shortcut from Darwin through Central Australia to get back in time for work to their home town of Grafton, NSW. When Alan got to Central Australia he had second thoughts about Grafton and soon landed a job in Docker River – the immensely remote community in the south-western corner of the NT. Driving past Ayers Rock and heading west on the dirt road to WA, his apprehensions grew: Knowing next to nothing about Aborigines he wondered how he would get on with them. 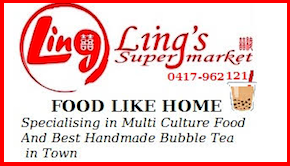 It was a friendly wave from Docker locals in a passing car, and the smiles on their faces, that dispelled all his doubts, put him on track to earn the nickname Cuppa Tea, and laid the foundations for one of the most spectacular business successes in Central Australia. Soon Cuppa Tea was so popular in Docker River that when government funding for his position ran out prematurely, the locals passed the hat amongst themselves and kept him on till funding resumed. 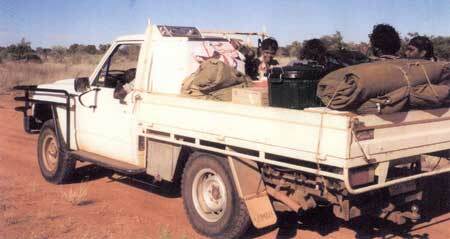 Transport to Alice in those days was mostly on the back of an open 4WD ute, sitting on a pile of swags – dangerous but at the time still legal. Alan saw an opportunity to save lives while earning a living: He bought a second-hand Coaster bus with a loan for $35,000 and started a regular run to Docker. Of course, there was a rest stop at a beautiful dry river to boil the billy for tea. On the first trip the bus was full. Alan thought he’d found a gold mine until he discovered that there was a footy carnival in Alice. It wasn’t going to be as good as that every week. The new service was popular and soon other communities were asking for their own. Compared to the slick operation today, it was a laid-back affair. The drivers overnighted in swags and the time table – well – was flexible. Alan’s daughter Tahnee and son Ben joined the company and Centre Bush Bus now has over 40 staff, a network of many routes to over 36 outlying communities, traveling over one million kilometres per year, and now branching out into the tourism industry – Centre Bush Bus Tours. 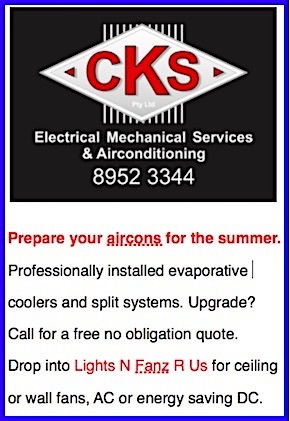 They also provide charters to anywhere in Australia. The firm has 25 vehicles, many of them specially built on cab-chassis to cope with the rough, dirt roads and huge distances. One is tempted to say, the rest is history. In fact, it is history very much in the making. The recent foray into tourism has been triggered by something that has eluded government planners for decades: The people out bush themselves are driving the initiative. Bred from years of familiarity with Cuppa Tea, they are now asking him to bring visitors to their homelands, an opportunity for showing off their country and art while earning extra cash. Centre Bush Bus Tours have partnered with Chris “Brolga” Barns, following a hit TV series shown around the world, now better known as Kangaroo Dundee. They now offer Bush Bus tours to his sanctuary, where visitors can learn about the significance of the kangaroo and other wildlife and culture through the eyes of Warlpiri Aboriginal friends. 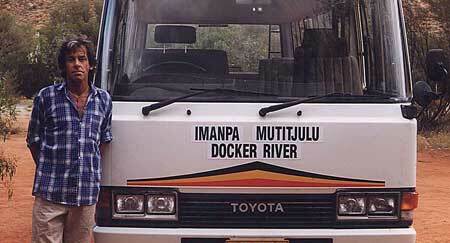 Typical one-way fares are Alice to Yuendumu $90 and to Docker River, $150. Freight costs are $16 for a medium package and $32 for a large one. Tahnee says the government doesn’t pay any of the fares. Only the Santa Teresa and Titjikala services are supported by the NT Government, says Tahnee. 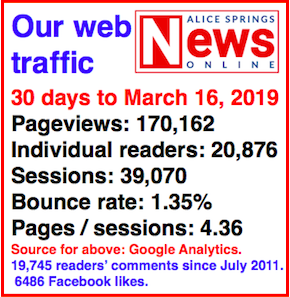 There are concerns over one-way tickets stranding people in Alice. She says: “We have discussed this in the past. Most passengers decide when to travel and it’s usually at the last minute. “If return tickets were purchased, the passengers are not likely to use them on the booked day and they would have to buy another ticket, wasting half the fare already paid. Cuppa Tea is still an occasional visitor to Docker River. People still drop in for a cuppa. Invariably that bus schedule gets modified. The passengers don’t lose sleep over it. PHOTOS (from top): Alan Passmore and his first bus. His children, Bob and Tahnee, with a custom-built bush bus. Bush traveling in the good (bad?) 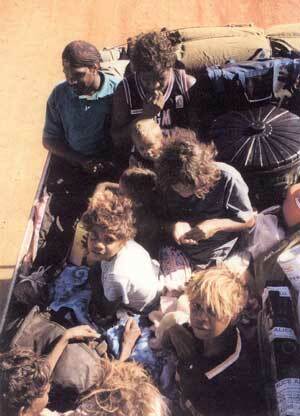 old days – on the back of a ute. 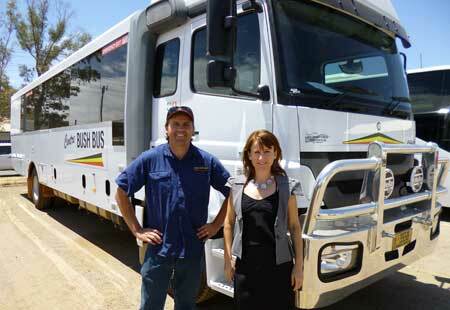 I have worked for the Bush Bus a few years ago, a family business and one of the best I have ever worked for. 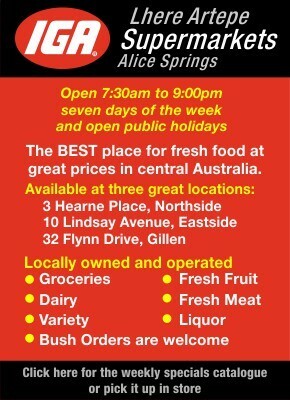 Alan is a fair businessman and very respectful person which is not seen these days. Hi Allan and family. I am Terry Sheedy’s mate. We brought a bush bus from Perth for you. Just found your site online and to let you Terry’s wife Denice is coming to Alice today by air to work there as a nurse. Everyone is well here and I hope you all are. Cheers Mal. That mate was Peter Griffin, who came to Alice to build a house on the ridge at Ilparpa for Naomi Sharp, then-manager / trainer of Hermannsburg Potters. Pete then stayed building for 20 years in Alice, and is now back surfing in Byron Bay.